St. Albert, Alberta, Canada – In 2020, Oxford-educated author and scientist, Eric LaMont Gregory will seek the office of President of the United States. With his unique and dynamic experience of working within the upper echelons of diplomacy, Gregory is poised to become ‘the candidate to watch’ in the next presidential election cycle. In his first message to the global community, Gregory is releasing ‘The Ultimate Vanishing Act’, a historical narrative informed by the staggering issues he witnessed during his career. Gregory plans to run on a platform to build an America that is secure geopolitically, and in which economic security is a reality for each and every citizen. 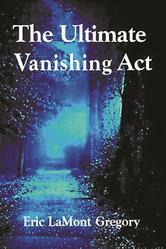 The Ultimate Vanishing Act is as rare as it is an important piece of historical narrative literature and a timely contribution to world security. The book's ultimate importance lies in the way it connects important historical events with contemporary problems and issues. The author, Eric LaMont Gregory, provides an eye-opening account of current world events and how the decisions we make today will influence the forces that propel us into the future. And reminds us that decisions made in the past impact the problems and opportunities we confront today, in ways that more often than not carry enduring consequences. The author begins with the 1967 Six-Day War, and takes us on a journey through the 1970s, in which the Oil Embargo by OAPEC (1973), the advent of the Taliban, the formation of al Qaeda and the Iranian Revolution, loom large. This was also the era of the Vietnam War, where ethnic divides within American society played out on that distant battlefield, and left some rather, but yet unresolved, disturbing legacies. While Reagan fought the Cold War with the Soviet Union, radical Islam gained strength, so much so, that by the time of the fall of the Berlin Wall, global radical Muslim insurgency and violence and the 11th of September 2001 became inevitable occurrences. Gregory ties these events, and others of equal weight and importance together into a seamless narrative, that invites the reader to become a witness to the conversations and decisions that have shaped the world as it exists today. The Ultimate Vanishing Act is undeniably informative and a right riveting read. ‘The Ultimate Vanishing Act’ is not only a transformative experience for those who read it - it’s also a call for change in the nature, course and direction of current political discourse within our national borders and beyond them. Eric LaMont Gregory, MSc (Oxford), received his master's degree from the prestigious Faculty Board of Clinical Medicine, Green College, Oxford University. The author is a world-class medical scientist, credited with unraveling the intricacies of blood flow in the subcutaneous fatty tissue of critically-ill preterm newborn babies, as well as an international diplomat. To explain the relationship between his scientific and diplomatic pursuits, he states that while medical skill gets one into the fray, diplomatic acumen makes all sides want one to remain engaged. To address the problems he has witnessed, Gregory will be a candidate for President of the United States in 2020. Although the author's run for the White House will begin in earnest in 2018, Eric LaMont Gregory is currently engaged in an extensive lecture, media and speaking tour to address the outwardly intractable issues, which have surfaced in the current presidential race. The author's website – www.theoxfordscientist.com – is a reserve of insightful analysis and scrutiny of the issues of the day, and reflects Eric LaMont Gregory's status as one of the most influential political and social commentators of the 21st century, well. Onlinecasino.us mobile app for iOS.